Exeter, New Hampshire 1965-1972." 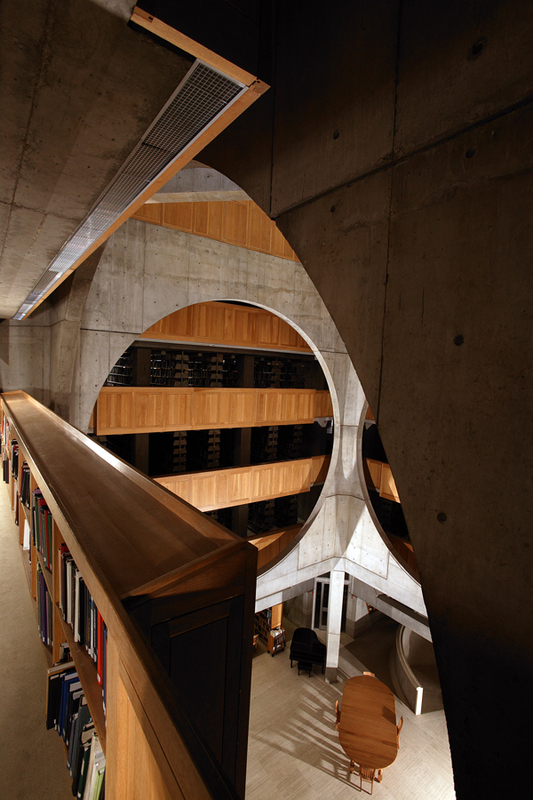 In Louis I. Kahn. London: Phaidon, 2003. A description of the Academy Library and the Dining Hall. Publishing Co., Inc., 1981 (pp. 280-299). and power that makes it one of Kahn's greatest works." Includes plans, section and photographs. 1935-74. Boulder, CO: Westview Press, 1977 (pp. 365-372). and running text of quotations by Kahn. A two page desrciption of the library, with photgraphs and plan. Rouda, Mitchell B. "Kahn, Louis I(sadore)." In Contemporary Architects, Ed. Muriel Emanuel. New York: St. Martin's Press, 1980 (pp. 409-412). which includes mention of the Library. Exeter Academy Library and the Mellon Center for British Art at Yale. A.B. honors thesis, Harvard University, 1987. A study of two of Kahn's major works, from "theoretical development"
to analysis and interpretation of the completed buildings. Metuchen, N.J., The Scarecrow Press, 1987 (pp. 165-167). A general description and evaluation of the building.